True Colours Studios professional hairstylists pride themselves on delivering top quality service to their existing and new clients. We ensure ALL clients needs are met. also the salon stocks the full product range of Joico, which guarantees an array of colours with a beautiful shine for all hair types. 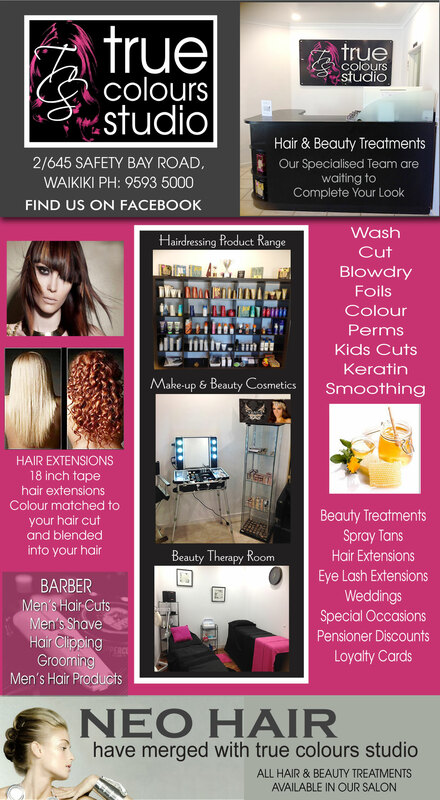 We have extensive training in tape in and clip in extensions, perms, cutting and all colouring/foiling, roller setting, chemical straightening etc. We offer seniors discount everyday and now offer black magic spray tanning. We encourage new and existing clients to give us a chance, and make a lasting impression.